Nick has a practice covering all aspects of financial and private law children proceedings, including child abduction. He regularly represents clients in both the financial and children aspects of their cases. 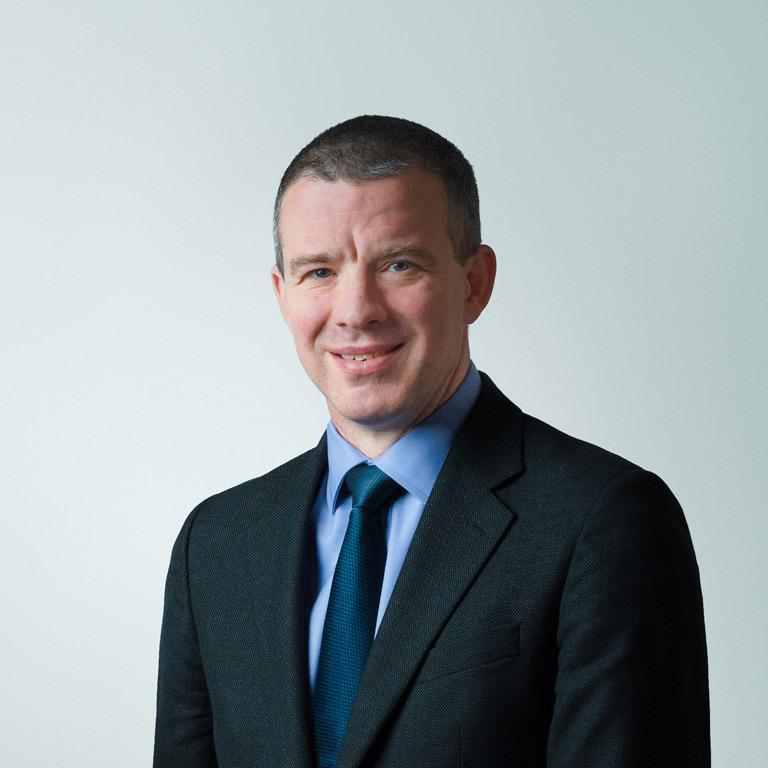 Nick has been involved in leading cases in the Court of Appeal and the Supreme Court and regularly appears in High Court financial and children proceedings. Nick specialises in applications to relocate children (within the UK or abroad) and deals with financial proceedings from the family court to complex High Court proceedings involving third party interests and trusts. Nick sits as a Recorder in family cases. Nick deals with all aspects of private law children proceedings, with a particular specialism in relocation applications, both within the UK and internationally. He has appeared in many significant relocation cases, both being led by a QC and appearing alone, at first instance and in the Court of Appeal. In addition to relocation cases, Nick deals with contact and residence proceedings, often involving difficult factual issues, such as physical or sexual abuse, or involving allegations of parental alienation. Nick is regarded as a tough advocate, particularly when cross examining expert witnesses. Nick has experience in dealing with complicated applications involving children born through non-conventional IVF (such as JK v HS & KS  EWFC 84, High Court (Family Division); Theis J) in which Nick represented the child at the centre of a dispute between two mothers and her biological father). With Deborah Eaton QC obtaining costs order against a father in proceedings where the father’s substantive application for permission to remove the children to Switzerland was successful. Nick has a wide ranging practice in financial cases, from general cases in the family court to very complex High Court proceedings. Nick is frequently involved in proceedings relating to cohabiting couples, whether in relation to interests in properties or under Schedule 1 to the Children Act 1989. Nick regularly drafts pre-nuptial agreements and has been involved in litigation relation to such agreements. Nick is recommended in Chambers and Partners under ‘London (Bar), Family: Matrimonial Finance’ and is regarded as ‘an excellent advocate who is calm and unflappable and always spot-on with his advice’. Nick is frequently involved in cases involving multiple properties, whether owned within corporate or business structures or in trust and regularly deals with complex tax and accountants’ reports. During 2017 Nick was involved in a lengthy and complex High Court case, regarded by the judge, Moor J, as ‘one of the most remarkable cases I have heard’: R v B and Capita Trustees  EWFC 33 High Court (Family Division); Moor J in which the court made an order reducing the husband’s ‘needs’ based claim because of his proven conduct. Nick is regarded as a specialist in child abduction cases, and cases proceedings under the Brussels II Revised Regulation. He has been involved in numerous leading cases, at first instance, in the Court of Appeal and twice in the Supreme Court (once led by Anthony Kirk QC, once appearing as leading junior with Katy Chokowry). Nick has represented applicants, respondents and children and frequently appears against leading counsel. Nick has been involved in several important cases on the recognition and enforcement of custody orders made in other European countries. Successfully opposing a return to Turkey on the basis of the impact upon the child of the likely deterioration in the mother’s mental health following a finding that she suffered from PTSD. This is the first reported case since S (A Child), Re  UKSC 10, in which Nick also appeared, where the court has upheld an Article 13(b) defence based on the psychiatric impact on the mother. The conclusion of the case which Nick conducted at first instance and in the Court of Appeal. Nick appeared in the Supreme Court without a leader acting on behalf of the child. The Supreme Court determined that it did not have jurisdiction to hear an appeal against the decision of the Court of Appeal under Article 23 of Brussels II Revised since the clear words of BIIR allow for only two appeals, to the High Court and to the Court of Appeal. Successfully acting (against leading and junior counsel) for the appellant in a child abduction case considering the ‘child’s objections’ exception to the summary return of children to Australia. This case is the current leading authority on the meaning of ‘objections’. Leading counsel instructed on behalf of the Respondent. Child abduction case considering the return of a child under the inherent jurisdiction to a non-convention country. Acting for the children on an application for the summary return of children to America. Nick appeared alone against leading counsel instructed on behalf of both parents. Acting for the respondent in the appeal against the decision of the Court of Appeal in S v C  EWCA Civ 1385. The Supreme Court reconsidered Article 13 (b) of the Hague Convention in relation to psychiatric issues raised as a defence to summary return. Having conducted this case on his own at first instance and in the Court of Appeal Nick was led by Anthony Kirk QC from 1kbw, against James Turner QC, also from 1kbw. Successfully acting for the appellant in a child abduction case where the first instance judge had found that the child should not return to Australia pursuant to Article 13(b). Nick conducted this case on his own and against James Turner QC from 1kbw in the Court of Appeal. Appeal against the decision of the judge to allow a child to remain in the UK based on his objections and consideration of the rights of custody of an unmarried Polish father. Nick appeared alone at first instance and in the Court of Appeal against leading counsel. Successful application for the return of a child to Poland despite his being in the UK for more than 12 months and the abducting father relying on the defence of settlement. Nick appeared alone against leading counsel. Nick is a qualified mediator. Since his practice includes both children and financial cases, he is happy to mediate in all areas, including in relation to cohabitees. Nick accepts direct access work, and is happy to be involved in both financial and children proceedings. He has advised clients on a direct access basis prior to the issue of proceedings. Nick assists clients in drafting correspondence, offers and applications. He appears at court and has conducted various hearings from interim applications to final hearings on a direct access basis. Nick regularly speaks at conferences and events organised by 1KBW and by other organisations such a Jordans and LexisNexis. In 2017 Nick and Frank Feehan QC from 1kbw conducted a webinar on The European Maintenance Regulation.